It’s simple. We know Volkswagen. We love Volkswagen! That’s how our service department offers top-of-the-line automotive service to our customers; we are the Volkswagen Experts. 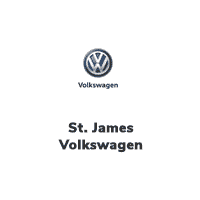 At St. James Volkswagen, it is our goal to ensure that our client’s vehicles are maintained, safe, and in excellent running condition at all times. As the experts, our clients expect us to inform them of all possible concerns with their vehicle. They also expect us to provide guidance and knowledge so they can make informed decisions, that are in their best interest. Our people will take the time to get to know you and your car and provide the quality, personal service you expect. St. James Volkswagen state-of-the-art facility features the most current diagnostic and repair equipment available, and our factory-trained technicians will deliver the most efficient and quality vehicle care.